Here's an easy recipe your family will enjoy. These muffins are a yummy desset with just a handful of ingredients. The recipe is semi-home and is so easy even a kid can do it. Cornbread is a family tradition to many people in the South. I usually made it from scratch but since my daughter was desperate to bake something (blame it to "Cupcake Wars") I decided it was best if she just stick with a premade muffin mix. 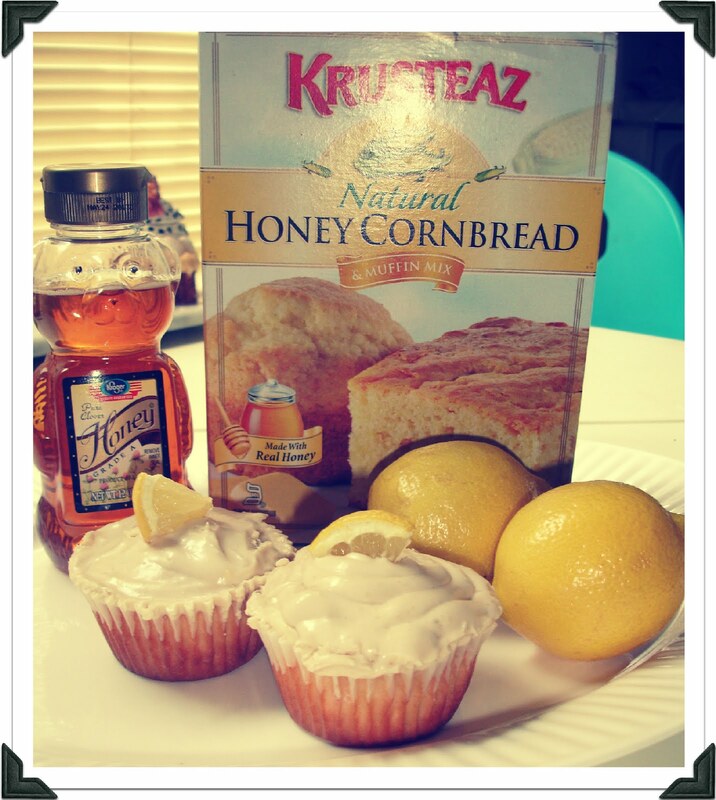 For this recipe you can either make the muffins from scratch or buy a box of "Krusteaz" Natural Honey Cornbread and Muffin Mix and follow the instuctions on the back of the box. My daughter made the batter, and frosted the cupcakes. She is only 10 y/o and is passionate foodie just like her mommy. 2 extra tablespoons of honey. Preheat the oven to 400 F. Prepare baking pan by lightly greasing or spraying with non-stick cooking spray. 1. Place milk, oil, egg, the zest and juice of a lemon, and the 2 tablespoons of honey, and full cornbread mix in medium bowl. Stir until moistened. 2. Spoon batter into prepared pan, or scoop muffin cups, filling 2/3 full. Beat goat cheese, cream cheese, lemon juice and zest, butter, and vanilla until smooth and fluffy, about 3 minutes. Gradually add powdered sugar and mix until combined. Let the muffins cool at least for 30 minutes before icing them. Buen provecho!